Welcome to Barrie and the Barrie Rowing Club. 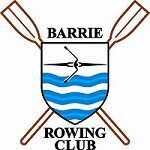 We hope that you will join the Barrie Rowing Club. We are confident that if you do, you will discover the many rewards of the wonderful sport of rowing. If you are a visitor to the area and an experienced rower, give us a call and we’ll arrange to get you on the water.